Triumph675.Net Forums > Daytona 675 & Street Triple 675 Global Forums > News, Announcements, Tests and ride reports > Daytona 765 coming this year! It’s been quite a long time since Triumph left aside their iconic Daytona. 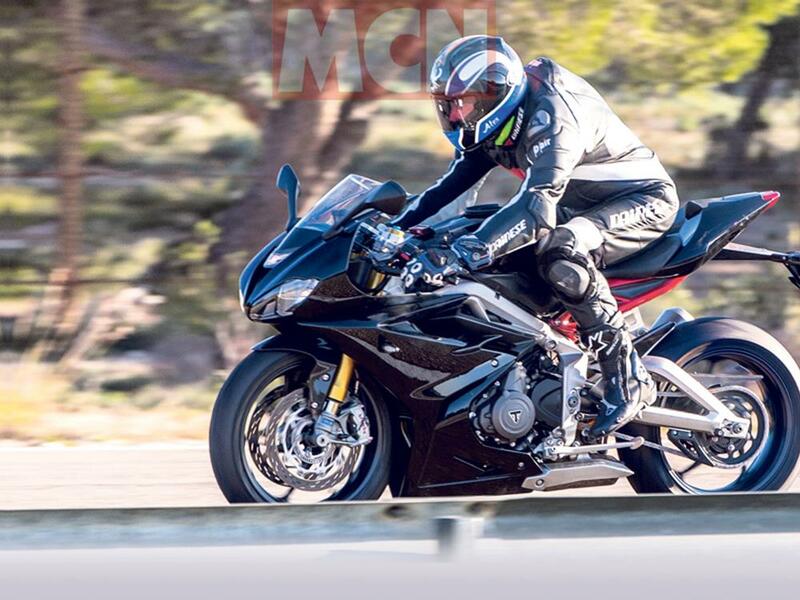 Fortunately, the waiting comes to an end sooner than we expected, as the first spy-shots with the new Daytona 765 were caught by the folks at MCN. The picture was published on this week's issue and will soon go online. The base ground for the new 765 sports bike will be the three-cylinder engine that Triumph developed last year for the Moto2 prototypes. The new powerplant is able to produce 135 horsepower and can be tuned for even more, while meeting event the Euro 5 emission regulations. Kinda stupid not letting it get a season under its belt and then reviewing everything for the road, basically use it as free R&D. I suppose to put it out now is the more fiscally assured move, though. Seeing is believing... Been waiting a long time for this to happen. Most of you people are not capable of being your GD self, to damn worried about being politcally correct. Yepper - we went through is same BS 2 years ago about Triumph releasing the fairing version Street Triple Sport-Tourer. Would have been real easy to put that on the street and I think a good seller. Also - WTF is the deal with 135 hp? Weaksauce. 135rwhp would a solid number to be putting down from this bike, but if that is crank and there is some improvements needed for sure. Euro 4!!! :-( Take the stock system off and there is certain to be significant HP gains... Did anyone read the recent R6 review where they talked about this same topic?? 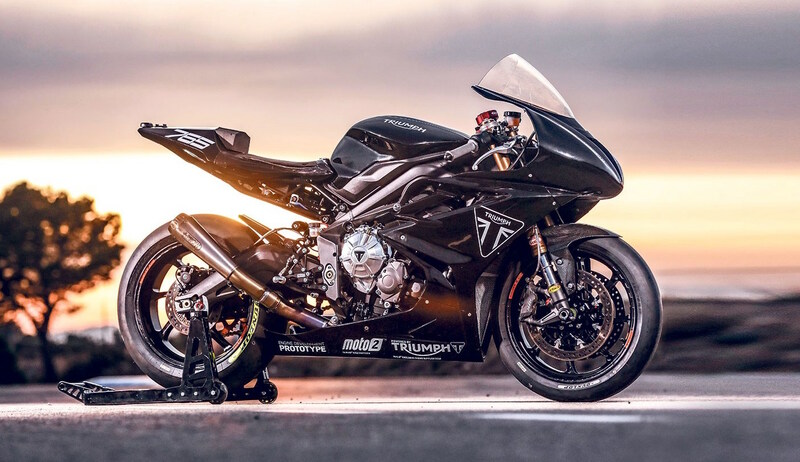 I think Triumph will be offering a special Daytona 765 limited edition in mid MotoGP season this year, just to see the demand, before going into full production in 2020. "Triumph have developed an all-new Daytona using the 765 engine first debuted in their Street Triple, an evolution of which will be used in Moto2 from this season onwards. While speculation has been rife that the Moto2 project would pave the way for the return of the Daytona, these pictures are the first proof that Triumph does have a road bike waiting in the wings. The images, snapped in Spain last week, reveal a high-spec model, with numerous clues that this will be badged, as with its predecessors, as an R or SE model. It’s not inconceivable that this could even be the third in Triumph’s new line of TFC models, boasting super-high spec, engine tuning work, carbon bodywork and available only as a numbered limited edition to coincide with Triumph’s arrival as the control engine in Moto2. With reaction to MCN’s October 2017 Daytona 765 story driving a tide of interest in a new model, Steve Sargent, Triumph’s Chief Product Officer, confirmed that: “If we could prove the demand, then of course we’ll do it. With the excitement we have around Moto2, we would be foolish not to consider it as a possibility.” But the firm flatly denied the bike was already in development. A little over a year later, and it’s clear that Triumph believe there is enough demand to release a new Daytona in 765 guise. 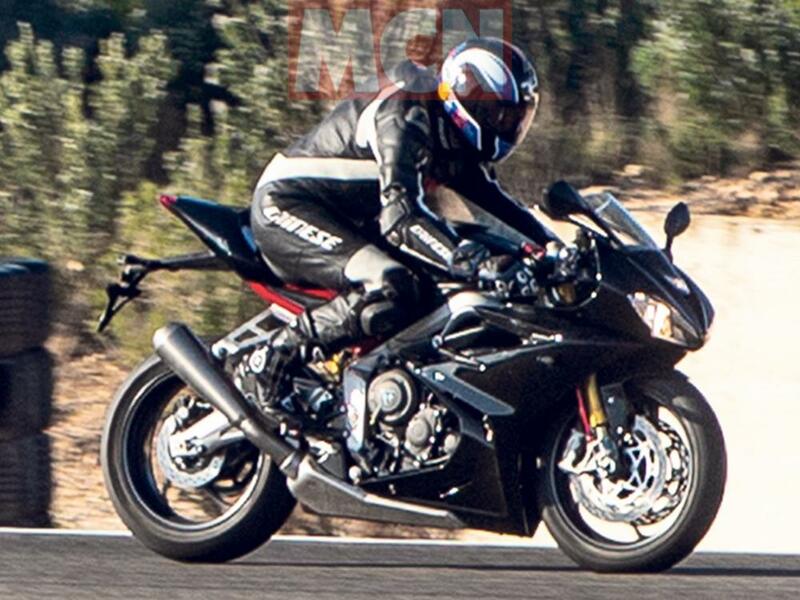 SPIED: Triumph Daytona returns with 765 engine"
Last edited by Hooligaz675; 02-08-19 at 03:59. It's gotta be at the wheel right???? so what would it take this bike to have for you to buy one? hp, electronics, suspension, brakes, you name it. curious what everyone is hoping for. Brembos, new styling, TC, unlocked ECU, lack of electrical special needs, HP increase. The Daytona has always had a strong pedigree of being one of the best track day dedicated bikes off the shelf, but if they intend to compete with Yamaha or Suzuki nowadays they're building an expensive bike. I think it will be an exceptional bike, but personally not worth trading my '12 R for. Faster folks with different priorities might disagree. In order to be able to post messages on the Triumph675.Net Forums forums, you must first register.